It is our mission to provide a comfortable and relaxed learning environment while teaching theory and critical skills. We believed that it is very important that not only those in the healthcare profession, but also those throughout the whole community, be aware and have the skills to handle unexpected emergencies. 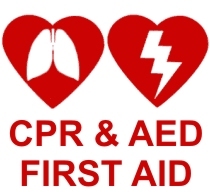 Our training adheres strictly to the standards set forth by the american heart association, and all participants earn a 2-year CPR certification. Most students who take the American Red Cross training will be required to take the American Heart Association CPR training prior to doing clinicals at a local hospital or caregiving facility. Therefore, start off with an AHA training and save yourself time and money. This course covers adult and pediatric CPR (single, two-rescuer and bag mask scenarios), foreign-body airway obstruction and automated external defibrillation (AED). All prices are per person. Group rates are available for 3 or more. Cards are issued immediately after class. This course is for Healthcare providers who required CPR card such as Doctors, physician assistants, nurses (RN, LVN, CNA’s) EMT’s, medical/dental assistants, respiratory therapists, and whoever has contact with patients. SAVE TIME, SAVE MONEY, SAVE A LIFE. 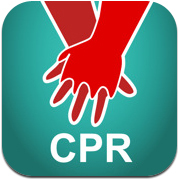 The Heartsaver CPR Course teaches CPR and relief of chocking adults, children and infants. This class is geared toward all lay rescuers, especially those who are expected to respond to emergencies in the workplace. This course is for people who have a duty to respond to a cardiac emergency because of job responsibilities or regulatory requirements. 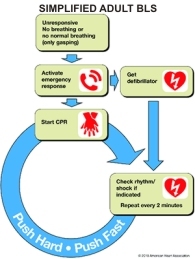 The Heartsaver CPR and AED course adds AED training to the Heartsave CPR course; in addition, it teaches how to manage illness and injuries in the first few minutes until professional help arrives. This course is for people who have a duty to respond to a cardiac emergency because of job responsibilities or regulatory requirements. 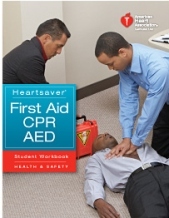 This class also includes basic first aid training. The Child & Infant CPR & First Aid course is targeted to child care professionals who want to learn how to recognize and relief chocking as well as perform CPR effectively in order to increase the chance of survival. The When an adult has a sudden cardiac arrest, his or her survival depends greatly on immediately getting CPR from someone nearby. Unfortunately, less than 1/3 of those people who experience a cardiac arrest at home, work or in a public location get that help. Most bystanders are worried that they might do something wrong or make things worse. That&apos;s why the AHA has simplified things. Your actions can only help. It&apos;s not normal to see an adult suddenly collapse, but if you do, call 911 and push hard and fast in the center of the chest. Don&apos;t be afraid. Your actions can only help. Increasing the number of people who know about Hands-Only CPR will increase the chance that someone can help when an adult suddenly collapses, and more lives can be saved. Our First Aid Class follows the American Heart Association guidelines. We offer first-time and renewal classes for groups and one-on-one. This certification is good for 2 years. The class duration may vary but is approximately 1 hour. Heartsaver First Aid courses can be customized for Medical Personnel, plus Churches, Personal Trainers, Manufacturing, Construction, Industrial, Transportation, Day Care Providers, Life Guards, Security Guards, Schools, Scouts and Parents.